On Monday, the Senate Appropriations Committee chose to stick with the House's proposal to have a two-tiered spending plan for the state's K-12 schools. The plan offers two budget figures — one based on Republicans' predictions for revenue growth for the upcoming year; the other based on projections from Gov. Jay Nixon, a Democrat. If the governor's "rosier projections" hold true, K-12 spending would increase by $278 million next year. If they do not, public school spending would go up by only $115 million, based on changes made by Senate budget writers. That's $7 million less than the $122 million increase being sought by the House. The Senate's budget committee is chaired by Kurt Schaefer, R-Columbia. "The governor put the House, and us, in a position to make it look like (there would be) money (available) that he budgeted, that clearly is never going to be there," Schaefer said. "That's from the governor's completely artificial belief that (general revenue) was going grow at 5.9 percent…. We just finished the (1st) quarter (of 2014) at 1.7 (percent, and) we're at 1.3 today." Schaefer also accused the governor of basing his version of the budget on his desire to expand Medicaid. Nixon "lit this budget up like a Christmas tree," Schaefer said, "so what we had to do was go back and see, OK, what really can be funded and what was just a Christmas present that was put out there as an inducement to do Medicaid expansion." Meanwhile, Schaefer and other Senate budget writers plan to increase funding for universities and community colleges by 5 percent, instead of the 3 percent approved by the House. Nixon's proposal contains a 5 percent spending hike for universities and 4 percent for community colleges. Committee members also chose to allot $33 million to build a new home for the Historical Society of Missouri in Columbia. The Senate Appropriations Committee will resume its review of the state budget on Tuesday. The full Senate will vote later on the recommendations being made this week, and a final version of the state budget has to be voted on and sent to Nixon by May 9. The Missouri House has passed all 13 budget bills with an estimated $26.6 billion spending plan for Fiscal Year 2015, which begins July 1. During Thursday's round of budget votes, House Democrats began sharply criticizing this year's budget writing process. Along with Gov. Jay Nixon, they disagree with House Republicans about how much revenue they think the state will take in. State Rep. Margo McNeil, D-Hazelwood, accused GOP leaders of crafting an unnecessarily low budget. 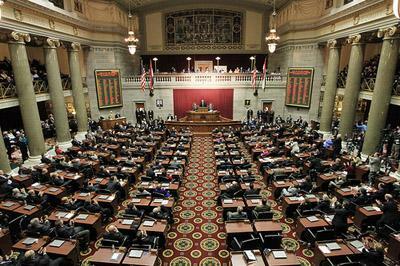 The Missouri House has given first-round approval to next year's state budget -- after spending most of Tuesday on amendments to the FY 2015 budget, including two attempts to expand Medicaid. Both failed, and both were sponsored by state Rep. Jill Schupp, D-Creve Coeur. House budget writers have passed Missouri's state budget for Fiscal Year 2015, which begins July 1. The roughly $28 billion spending plan still includes a funding increase for the state's K-12 schools, which would be around $122 million if projections by House and Senate Republican leaders turn out to be correct. If Gov. 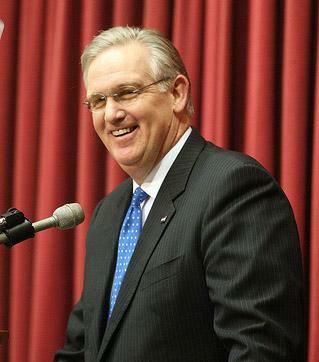 Jay Nixon's rosier revenue picture turns out to be correct, then K-12 spending would increase by $278 million. Missouri Gov. Jay Nixon’s decision to release $132 million withheld from the current budget was influenced, in part, by the rosier state revenue collections in February, his budget chief says. 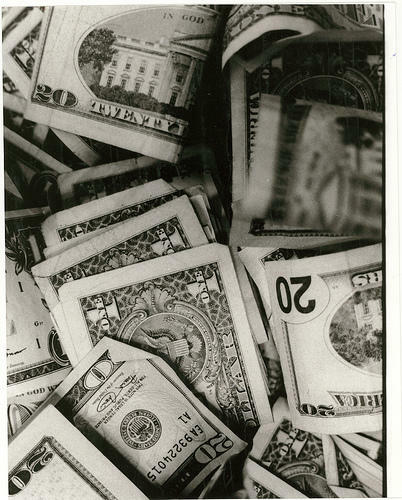 State Budget Director Linda Luebbering announced Tuesday that net general revenue collections for February shot up 17.3 percent ($69 million), compared to February 2013. That strong showing follows several months of less-than-stellar revenue numbers, particularly in January. Republican leaders in the Missouri House have scrapped the budget being proposed by Gov. Jay Nixon, a Democrat. Instead they will use last year's budget bills as a starting point for crafting their fiscal year 2015 spending plan. House Budget Chair Rick Stream, R-Kirkwood, says their budget bills contain none of the governor's spending proposals for the fiscal year (FY2015) that begins July 1. Missouri Gov. Jay Nixon is proposing a budget that would set state government spending at roughly what it was seven years ago, before the nation’s economy – and the state’s budgets -- took a nose dive. And that’s a huge difference from the frugal budgets the state has seen for years. The biggest beneficiary of the increased spending, should the General Assembly agree, will be public education.